CURT vs. Hidden Hitch: Which Tow Hitch Is Best For Your Car, Truck or SUV? CURT vs. Hidden Hitch... Who makes the better trailer hitch? Transform your ride into a lean, mean hauling machine when you set it up with a trailer hitch and other top-notch towing accessories. Whether you need to haul your boat to the river or your horses to the local trail, you need the right towing accessories to get the job done. And, when you choose parts made by the most trusted names in the game, like Hidden Hitch or CURT, you can be sure the job gets done easily and efficiently. CURT resides at the forefront of the towing industry when it comes to building innovative and strong hitch and towing components. They pride themselves in crafting dependable products with strong designs that are robotically welded for a precision fit. When you go with a CURT Trailer Hitch, you can be certain you’re choosing pure innovation and quality. Since they craft everything from CURT hitches and hitch covers to CURT T-Connectors, CURT has all of your towing needs covered. More than just superior strength and quality, CURT also cares about style. That’s why they started crafting custom color hitches and ball mounts. Plus, many CURT products can be ordered with a painted finish in your choice of colors to accent your vehicle or trailer color. Another leading name in the hitch and towing industry, Hidden Hitch has been crafting top-notch hitches and towing accessories since 1968. 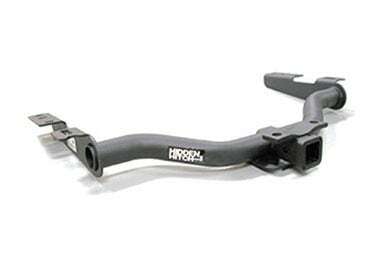 Since then, Hidden Hitch has been a huge success in the industry because they refuse to compromise the designs of their hitch receivers. You can be certain that every Hidden Hitch receiver is custom-designed for a seamless fit. Plus, Hidden Hitch uses choice steel, precision welds and heavy-duty brackets when crafting each of their parts. If you’re still uncertain of who comes out on top, check the array of trailer hitch reviews available on our site to see what actual AutoAnything customers are saying. After reading the latest reviews, you’ll know exactly which products customers are raving about. Plus, you can read up on the reviews for your specific vehicle. 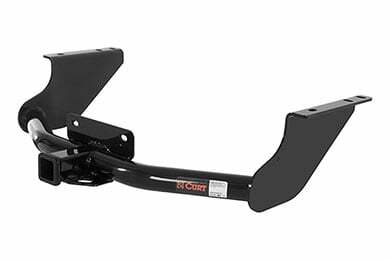 Find out which is the most popular trailer hitch for a 2010 Jeep Wrangler, or see which gooseneck hitches are the best for a Ford F-250. Whichever product you choose, you can be certain you’re getting the best deal possible when you order from AutoAnything. We back every purchase with a 1-Year, Lower Price Guarantee. So, if you find the same products for less anywhere else, we’ll match that price and beat it by a dollar within a year of your purchase. What’s more, we ship more than 99% of all orders for free, saving you even more money. Reference # 762-805-407 © 2000-2019 AutoAnything, Inc.